Dr. Jetske Ultee has developed Suncare especially for the face. 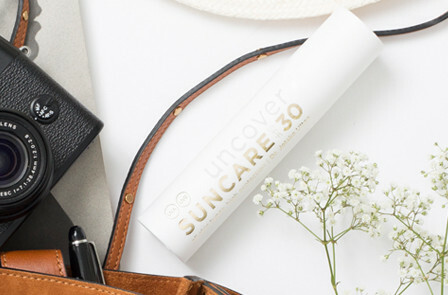 Both of the Suncare products, SPF 15 and SPF 30, contain the safest and most effective filters against UVA and UVB rays. Alongside those, the cream contains high concentrations of active ingredients, such as niacinamide (vitamin B3), vitamin E and caffeine. These substances have an antioxidant effect, protect the skin from the impact of infrared rays and also strengthen the barrier function. In order to guarantee the effectiveness of these active ingredients, the product comes in a practical and hygienic airtight bottle with pump. Suncare also comes in a handy size to transport or keep with you. Dr. Jetske Ultee developed the Suncover range for face and body. This sun cream is sold on a non-profit basis and comes in a generous container. There is a 250 ml bottle and a 1 litre bottle, making it perfect for all the family on holiday. The cream contains effective sun filters against both UVA and UVB rays, is perfume free and smooths on easily. Niacinamide (vitamin B3) is also added for extra protection.